Authentic Mosbeau AQUA Collagen Body Cream - Collagen and Hyaluronic Acid for Whitening, Anti-Aging and Moisturizing- NEW FORMULA! Home > Coupon > Mosbeau > SALE 30% OFF!!!! 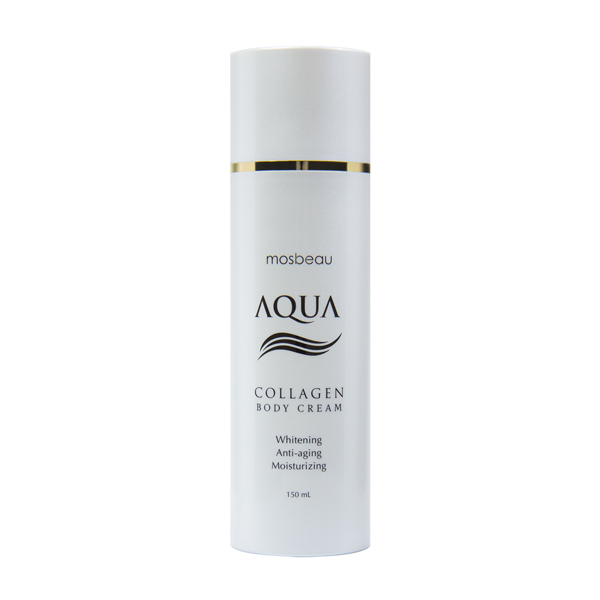 Authentic Mosbeau AQUA Collagen Body Cream - Collagen and Hyaluronic Acid for Whitening, Reducing the Appearance of Aging and Moisturizing- NEW FORMULA! 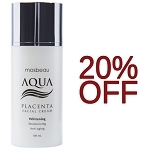 Cutting Edge Blend of Collagen, Hyaluronic, Placenta and Botanicals in a Luscious, Refreshing Cream!! 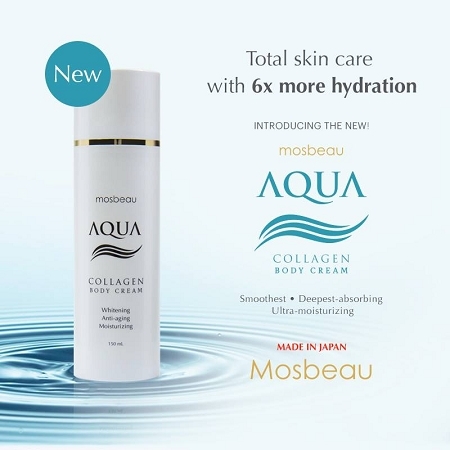 Authentic Mosbeau AQUA Collagen Body Cream - Collagen and Hyaluronic Acid for Maximum Age Defense with Deep Moisture - NEW FORMULA! 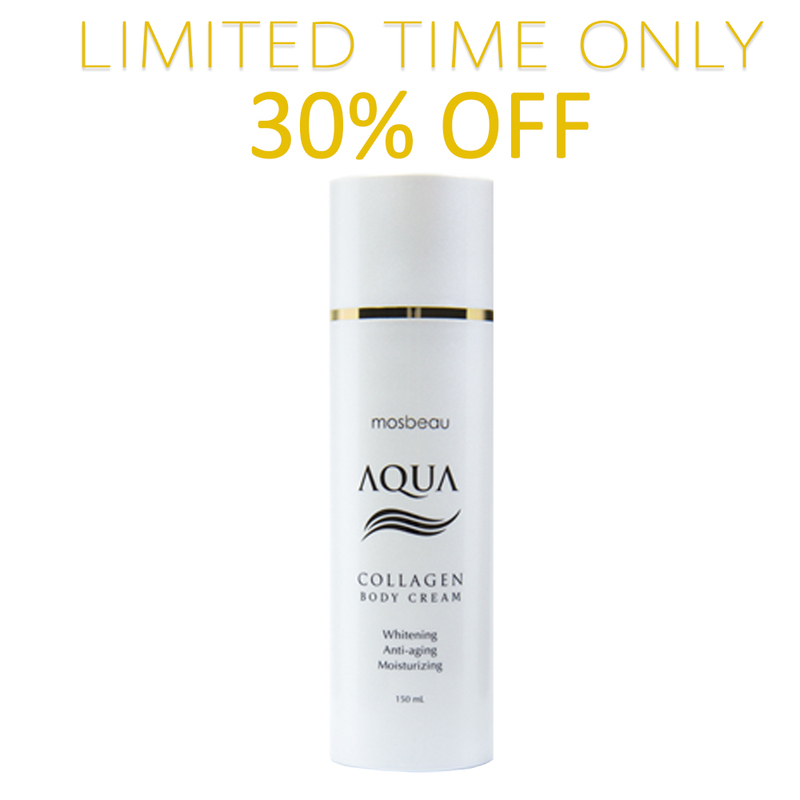 Maximum Moisture This luscious formula contains Hydrolyzed Collagen, Hydrolyzed Hyaluronic and 3 Hyaluronic Acid derivatives for maximum collagen renewal and reducing the appearance of aging. These hyaluronate molecules are micro-derivatives for maximum absorption. 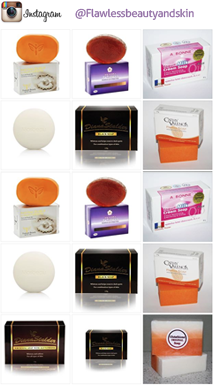 No cream on the market has so many potent hydrating ingredients. Veronica Officinalis (Speedwell) Extract reduces the appearance of flaky, wrinkled skin while Malva Sylvestris (Mallow) Extract forms a soothing, protective gel on its surface. Whitening Botanical Blend In addition to the whitening power of placental protein, this cream also includes a whitening blend of 7 Swiss Alpine plant extracts. Many of these plants are highly desirable for natural skin care and protection. They are: Malva Sylvestris (Mallow) Extract, Alchemilla Vulgaris Extract, Melissa Officinalis Leaf Extract, Mentha Piperita (Peppermint) Leaf Extract, Veronica Officinalis Extract, Achillea Millefolium Extract, Primula Veris Extract. Placental Protein is a popular skin-whitening agent in Japan. Recognized as an exemplary ingredient that visibly whitens skin, removes wrinkles and fine lines, detoxifies the body and speeds up skin cell renewal. Apply to cleansed and toned skin all over the face and neck. Use daily, each morning. Caution Avoid contact with eyes. External use only.